Use a variety of built-in tools to make sure the 3D models created for your game avoid negative game performance. 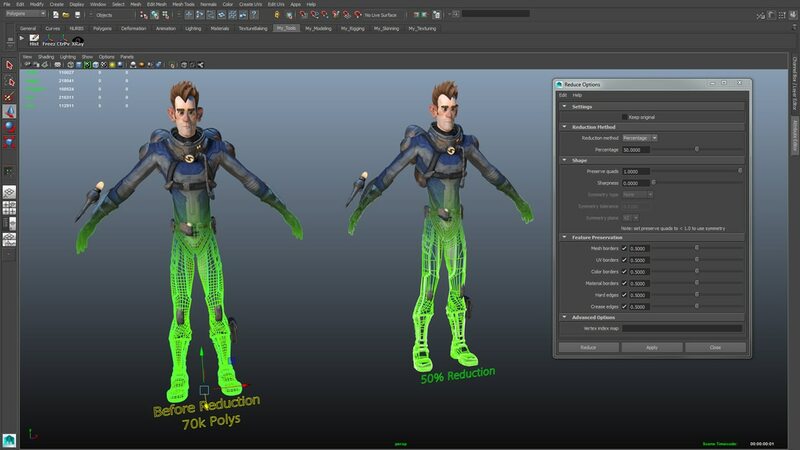 Create higher-resolution character and environment models in unlimited scene sizes within Maya LT, then reduce polygonal resolution for better game performance. Optimize content for mobile devices with polygon reduction, data cleanup, blind data tagging, and level-of-detail tools.